The widget will have a ratio of 1. Add an extra space after the last widget. 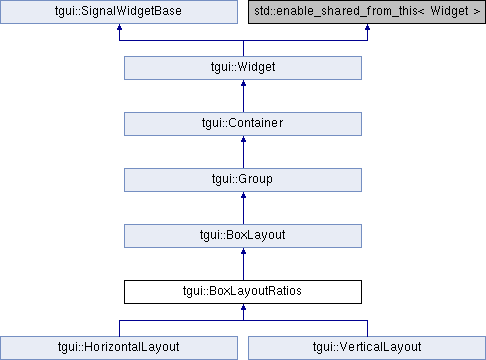 The space will act as an invisible non-interactable widget, the ratio will be part of the total ratio of all widgets. Returns the ratio of a widget at a certain index. The ratio is relative to all other widgets in the layout. If one widget has ratio 10 and the other has ratio 5, the first widget will be twice as large as the second one. Insert an extra space between widgets. Changes the ratio of a widget. Changes the ratio of a widget at a certain index.